Precision light, humidity and temperature wireless data logger for recording temperatures between -30 ~ 80°C, humidity values from 0 ~ 99%, illuminance from 0 lx ~ 130 klx and UV intensity from 0 ~ 30 mW/cm2. 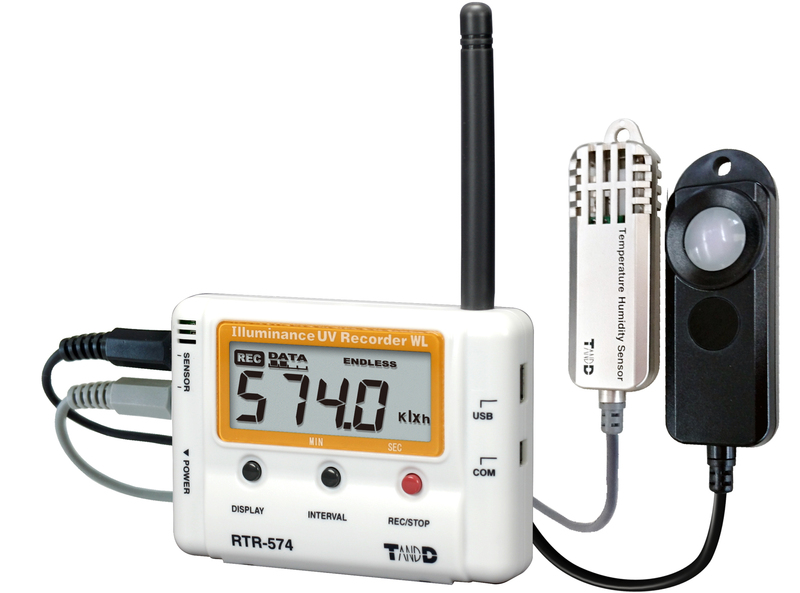 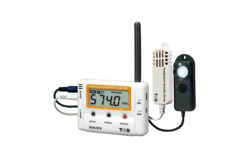 RTR-500 Series: Wireless radio data logger including LCD display, supplied with interchangeable ISA-3151 illuminance and UV intensity sensor and wide range, high accuracy HHB-3101 °C/rH sensor mounted on 1M of cable. 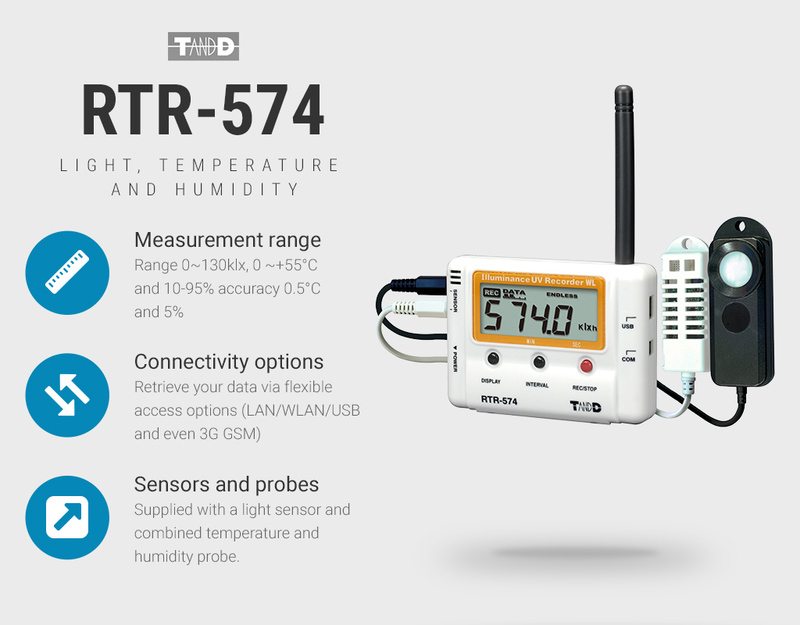 The RTR-574H can measure and record temperature data from -30 ~ 55°C, humidity values from 0 ~ 99%, illuminance from 0 lx ~ 130 klx and UV intensity from 0 ~ 30 mW/cm2 and will interface with any RTR-500 base station. 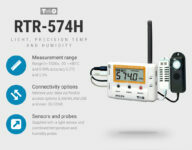  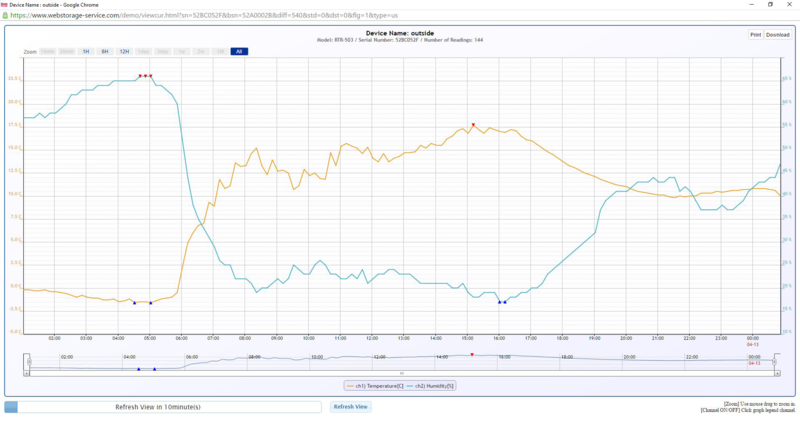 Simply connect your probe and partner your RTR-574H with a designated base station, select from PC and/or on-line software utilities and monitor your data and alarm status of appliances and environments in real-time with archived data retained on your server and on-line with the free of charge with Webstorage-service. 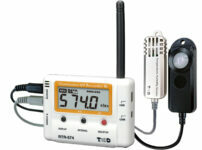 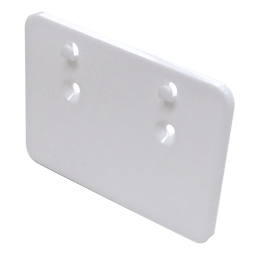 Supplied as standard with HHB-3151, ISA-3151 sensors and 3.6v user replaceable battery.